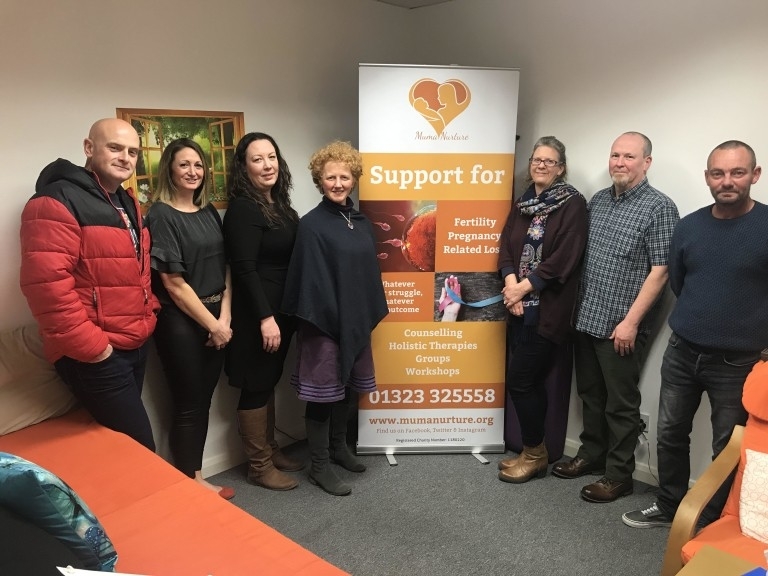 Muma Nurture is a small and newly registered Eastbourne based charity providing counselling, therapies and support for people in Sussex affected by infertility, pregnancy and perinatal loss. Our services are available for everybody that needs them. We offer a free initial consultation for those seeking one to one therapies and invite clients to make whatever donation they can afford (or not) for further treatment to ensure we don't exclude anyone from support on financial grounds. The issues that we support are far more common than it may seem, often people are unaware they exist until personally affected. Of an estimated 19,462 Sussex pregnancies in 2016; 2385 ended in abortion, 2785 in miscarriage and 67 in perinatal death, these, plus the 86,315 struggling with fertility issues are our potential client group. Regardless of the experience that leads them to us, all of our clients are experiencing a level of grief. For some, we can offer practical therapies and information, for some this is not possible, but support is still absolutely necessary and we provide counselling. The most common feeling our client's report to us is isolation, either literally or perceived as they feel different from their friends and family. We have a weekly, national lottery funded, informal community group, which offers the opportunity to share time and space with others who have had the same or similar experience, where everyone can accept and understand your experience and thoughts and feelings associated with that, whether or not you speak about it. In our first year, we supported 40 clients. Each and every one of them reported an increase in emotional wellbeing through accessing our services. We have big plans for 2019 to raise awareness, increase clinic hours, extend services, build our team of volunteers and offer drop in support.